Our Story, so far – NEVER eat a bad pie ever AGAIN! 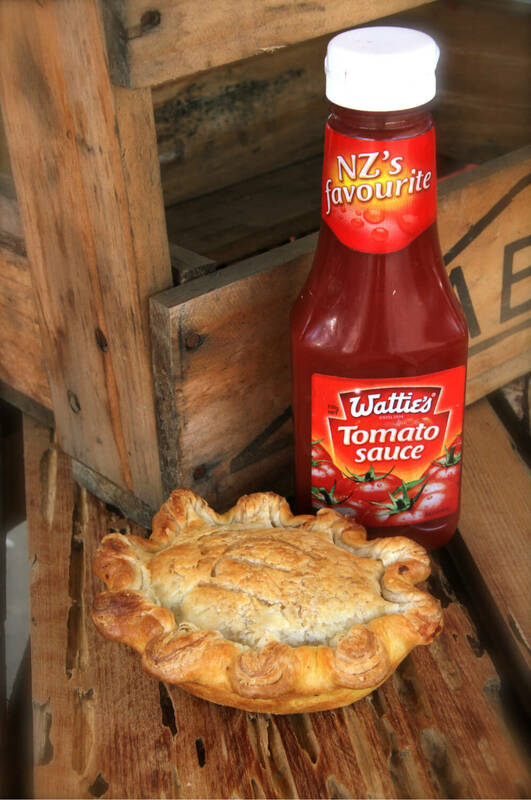 Pies are a Kiwi culinary icon, part of our national identity. The Encyclopedia of New Zealand puts them in the same cultural category as Buzzy Bee toys, pavlova, jandals and bush shirts. As a nation, we consume 65 million of them annually, according to Food Standards New Zealand. That’s a whopping 15 pies for every person from Cape Reinga to Bluff. 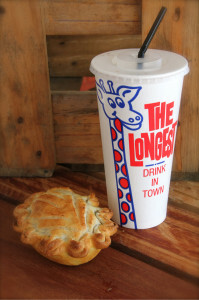 Pies are everywhere, local bakeries, dairies, gas stations, sports and social clubs, school tuck shops, super markets and cafés; pies are more widely sold than bread and milk…“Yet, why is it, good ones so few and far between?”- is a question that, many of us Kiwis, are asking. The same question that Tyrone and Carla, the owners of Pioneer Pie Co. asked back in 2012 – when they opened the doors to their new business – with an idea and a dream to create a product and a brand with authentic Kiwiana flair – a pie superior in quality and flavour than anything else on the market. They set to work in the search of pie perfection, utilsing their passion for quality, ethical food choices. After many trial and error batches over the following years, adding this and that, tweaking here and there, and adjusting cooking methods we finally settled on recipes that would go a long way to making a pie above others and forming the heart and soul to our beloved product. Next it was the pastry; we worked with a number of bakers in our search for pastries that could satisfy all the needs of pie lovers taking into account a number of different dietary requirements, “why should any Kiwi miss out on our national dish” says Carla. We can now proudly say we offer five pastry types, including vegan, organic, gluten free, dairy free and even a cholesterol free pastry, all of which work to support and compliment our fillings. What a team! With the growth of our business and moving in the direction we wanted to head, we welcomed our business partners Gus and Siri, a like-minded family who shared our vision and continued our journey. The next stage was to analyze each and every ingredient ensuring we had the best suppliers in place, searching high and low for the finest providers who had similar value sets to ours, and who could offer the freshest ingredients, grown and raised in sustainable ways with no GMO’s, and either organic or free range. Comments and reviews on our Facebook page really tell the story. Kiwis are talking about pies once again – and more importantly there is an answer to the ”where to get a really good pie?” question. Though we have reached a point where we feel we have started a pie revolution and are overall happy and proud of where we now are, the mission never ends in the quest for Pie Perfection. Pioneer Pie Co, 247 Dairy Flat, Old Albany Village – open 7 days. For more info and exclusive offers, please “LIKE” Pioneer Pies on Facebook.